Germany: a country culturally and historically deeply invested in the environment, yet also devoted to the car. As news broke on Sept. 18 that Volkswagen – international automotive titan and figurehead for German post-war recovery – had fitted devices into diesel engines to cheat emissions tests, the country’s media and political leaders reacted with dismay. The so-called diesel dupe has been regarded as tantamount to a national betrayal; the scandal felt not only by the loss in shares, but also the potential loss of trust in German manufacturing as a whole. An ever-mounting pile of evidence against VW suggests that the number of cars fitted with these so-called defeat devices could total 11 million worldwide, of which 1.2 million are believed to be in the UK. Also implicated are the VW-owned brands Seat, Skoda and Audi. Ultimately, however, any car will to a greater or lesser degree damage the environment; diesel engines are simply guilty of higher nitrogen oxide emissions than its carbon-heavy cousin, petrol. As further questions of recalled cars and compensation worth millions accompany the inevitably tedious apologies from VW, the question to ask ourselves is how our relationship with – and dependence on – the car is changing. In 2011, an article published in the New Statesman questioned if Britain had reached peak car; over a decade ago, one article even heralded the death of the car. Although perhaps premature, owning and driving a car is an increasingly thankless privilege. The costs involved – particularly for young drivers, typically saddled with enormous insurance premiums – seem to be acting as a deterrent: in 2013, only 31% of 17- to 20-year-olds had a full driving licence, a significant drop when compared to 1997 figures (43%). In contrast, the number of amateur cyclists has noticeably risen, both nationally and globally. A pre-Boris Bike London is but a distant memory; in Paris, the comparable Vélib initiative continues to grow in popularity and by 2020 the notorious Parisian traffic will share space with a planned 1,400 kilometres of cycle lanes. Northern European cities, most famously Amsterdam and Copenhagen, have embraced the bicycle as a mode of transport for decades. 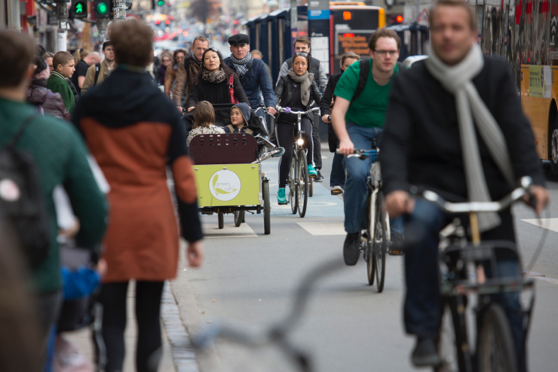 Cities like Copenhagen, where bikes outnumber cars 5 to 1, prove that as soon as the bike is accepted as something beyond a mere irritation (usually when the number of cyclists has grown sufficiently to help improve road safety, which in turn inspires more cyclists to join the road) the manifold benefits are felt across the population. Encouraging cycling in cities leads to lower levels of air pollution, decreased congestion, a healthier population and saves money – something which Warwick University has caught onto with the introduction of the UniCycles scheme, offering a quick and frankly hilarious way of navigating the marathon distance between Westwood and central campus, for example. For those that remain unconvinced by a two-wheeled revolution, there are numerous initiatives to improve public transport. These range from the futuristic – SkyTran plans to introduce automated cars to cruise above Tel Aviv traffic in the near future – to the more traditional, like Blablacar, a brilliant initiative which links hopeful travellers to drivers with spare seats. Essentially organised hitch-hiking, Blablacar is as convenient as it is popular amongst those travelling long distances in Europe. Closer to home, England’s second-city Birmingham is extending its central tramline, which has stood defunct in recent decades. There are, sadly, few things less glamorous than a tram. Public transport also has the unfortunate (and often accurate) reputation of being notoriously expensive, unreliable or both. Likewise, the term cyclist typically conjures up an image of either a faintly sweating, gently balding middle-aged-man squeezed into Lycra, or a beardy hipster knowingly pedalling to the nearest farmers’ market. And no one wants to be that guy. Cars remain popular because the alternatives appear either highly impractical or unattractive. Take Birmingham as an example: a sprawling city where the public transport does not adequately serve large portions of its suburban population, and cycle lanes are either poorly connected or non-existent. The thought of cycling into the city centre would, quite naturally, fill many with fear. And until the incentives for pursuing a car free life outweigh the logistic impossibilities posed by essentially sacrificing a certain level of freedom, the struggle to reduce air pollution, carbon emissions and congestion in our cities – and thereby make them far more liveable environments – will continue.